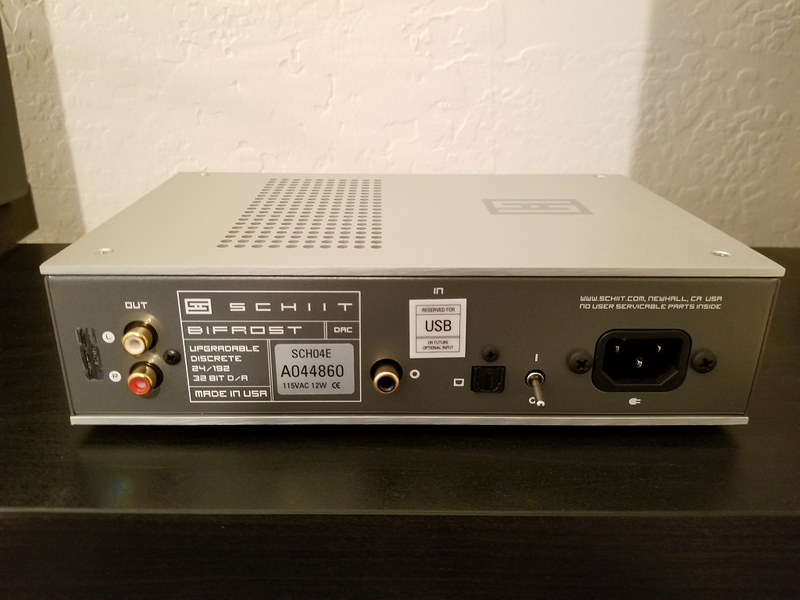 Just picked up this Schiit Bifrost Uber (non USB) DAC from @starkiller! Thanks again for the great deal. Planning on trying this out with three different transports. Should be interesting. There's quite a few variants of this DAC available now, this is the original release but with the upgraded Uber analog output. 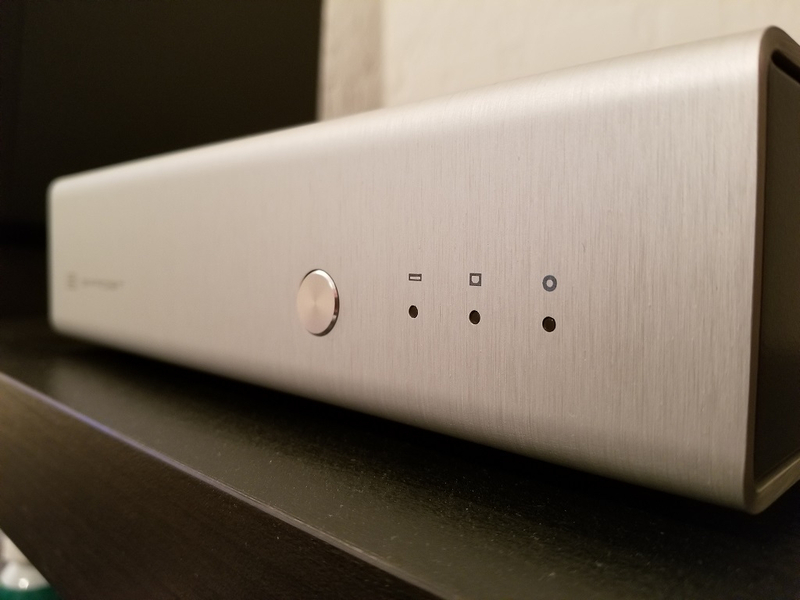 I've already read several reviews of this DAC but I'm trying to approach it with no ideas of how it will potentially sound. This is one I've always wanted to check out for myself. Initial impressions coming soon when I have a chance to log some hours on it. I have this unit and love it. Running my ALAC files via optical cable. Did and A/B comparison with my Maranttz SACD player and the Bifrost was the clear winner. That DAC was on my radar for a while but I never got the chance to get one. Looking forward to your review! Finally got a chance to give this DAC an initial listen today. I used the Rotel RCD-1072 as the transport and played three CDs through it. First impression is that I really like how it sounds. It seems to have great rhythm and timing. I also noticed a bit more air around some instruments and sounds. It seems detailed and forward without having that "ESS Sabre style" brightness. It still may be a bad match for Klipsch speakers, or others with particularly bright metal tweeters. For the 703s though, there seemed to be good synergy. After listening to the first disc and being impressed by the timing, I put in some oldschool drum n bass circa 2000. I figured this would be a good test to reaffirm what I was hearing in regards to the great timing and pace. DNB loves to showcase crisp staccato drum patterns along with big synthey basslines. The Bifrost seemed to deliver on all fronts. The timing was perfect and got me into the groove immediately. It presented everything with no digital glare or harshness that I could detect. Since these were some older tunes, they featured basslines from actual analog synthesizers. The analog sound and lushness came through 100%, I could really get a feel for the actual sound of the synthesizers that were used in the production. In this sense, I feel that it was really true to the recording, and was reproducing everything just as it was. I'm happy that it did not present these sounds as "digital" in nature. Lastly I played Eliane Elias' excellent "Bossa Nova Stories" album. Another great test of it's timing as well as ability to accurately present her great voice. Everything sounded good here as well, very cohesive sound with a musical presentation. I've read mixed reviews of this DAC, specifically in terms of it's musicality or it having a clinical/boring presentation. I can't say I experienced any of that today! Pretty happy with this DAC so far and looking forward to logging more hours on it and trying it with some different transports and cables. I spent the last few weeks listening to the Bifrost Uber and my conclusion is that it represents a great value on the used DAC market. A benefit of the recent revisions/improvements, is that the older/original Bifrost Uber without USB can be had for a good price. 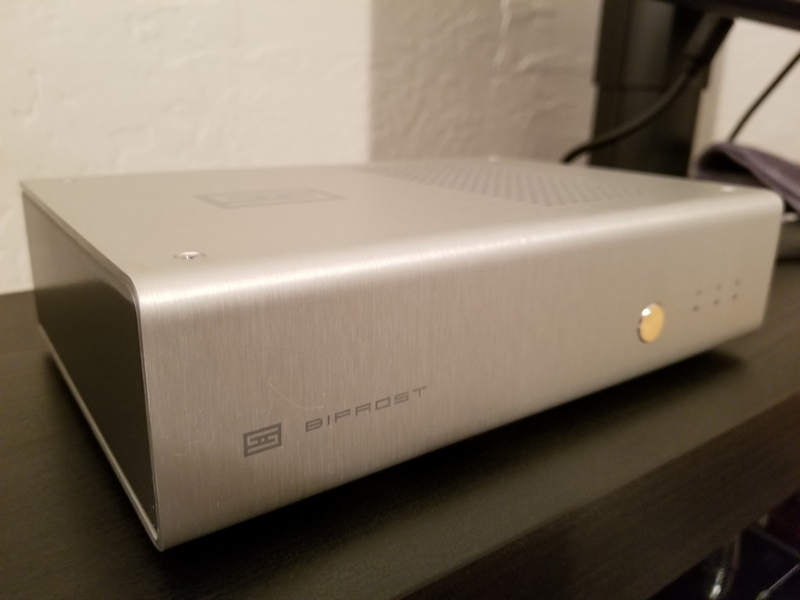 I recently had a chance to compare the Bifrost against a $1k DAC and to my ears, I preferred the Bifrost. It was simply more musically engaging and it presents a solid and palpable stereo image. Stereo imaging improved further when I tried it with a Shunyata Venom 14 power cable. I swear, that cable is the perfect ticket if you feel like your system needs an improvement in stereo imaging/sweet spot. Anyway, been enjoying my Bifrost Uber! Great sounding DAC in my opinion! I suspect that I'm asking to compare apples and oranges, but which do you like better, the Bifrost Uber or the Topping D10? I can't accurately make that comparison because the D10 is only USB, and the Bifrost doesn't have USB. So I can't physically put them in each other system in order to compare them head to head. I guess I assumed you had a newer version of the Bifrost with USB.